Japanese publisher Hamster Corporation has become known over the years for reviving classic video games and adding modern touches to each one. Its recent focus on Nintendo’s retro library for the Switch eShop has been well-received so far. 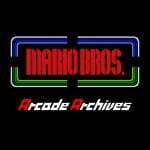 I’ve always wanted to release a collection of famous Nintendo arcade titles via the ‘Arcade Archives’ series. With that wish and also Nintendo’s cooperation, we were finally able to make that a reality. When it was finally decided we would do it, I think I was more surprised than anyone. 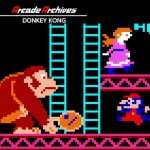 The ‘Arcade Archives’ series was established with the aim of looking back into the past and restoring classic arcade games. This is just my guess, but I think a common ethos is one reason we succeeded. I think being allowed to port Nintendo’s titles [also] has a lot to do with a history we share… on the Wii U we released games on the Virtual Console. In those cases we acquire the original circuit boards and work from there. But honestly there are also plenty of cases where we can’t acquire those circuit boards and so can’t republish the game at all. 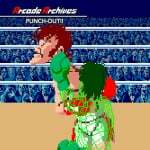 Are you a fan of Hamster’s Arcade Archives series? Have you bought any of the Nintendo releases so far? Tell us below. Hamster have been great for the Switch. I've had scores of hours of arcade score chasing fun. I just wish they were able to release some later 90's arcade classics as well. Other than Neo Geo all their arcade releases have been from the 80's or very early 90's. I just find it extremely strange how the slightly altered Vs Super Mario Bros can be bought on the Switch no problem, but the massively popular and influential original NES Super Mario Bros is not on the storefront at all. @EarthboundBenjy NES Super Mario Brothers is present and has been for a few weeks now. @EarthboundBenjy bet you more people have NES super Mario Bros on their Switch through the online app than have vs super Mario Bros. As a separate purchased game. Thank you, Hamster Corp., for reviving a happy experience from my youth! The extra features, such as Caravan mode and the different arcade settings, are the icing on a perfect cake. I hope this means we get Mario Kart GP & F-Zero AX on the Switch. I do enjoy the novelty of owning Arcade Punchout in the palms of my hands. Though normally I put it in vertical mode and put it in a stand while I use a joycon in each hand....you get the idea. No other Nintendo Arcade game has been unique enough for me to slap down $8 per game though. 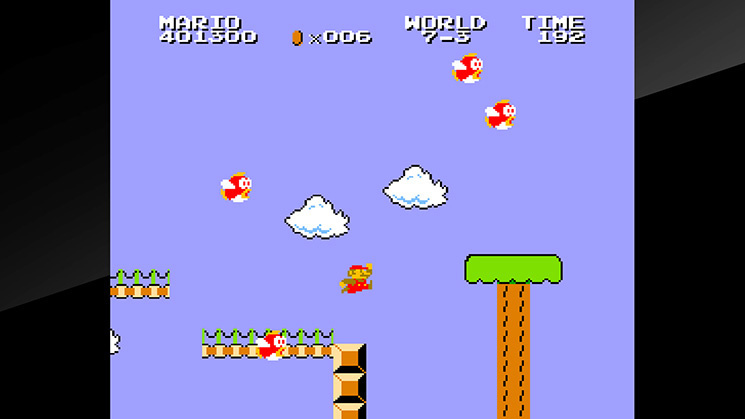 Sky Skipper is not my cup of tea and I get NES versions of Donkey Kong, Excitebike, Mario Bros and Super Mario Bros with the Nintendo Online feature. 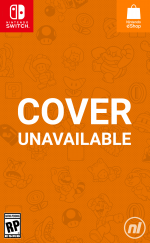 I'm surprised that Nintendo is not publishing their own arcade catalog, now that they're available for the first time. It would be the new big thing, better than the NES Online Service imo. Instead they let Hamster do it under their Arcade Archives label. Hamster should cosider themselves lucky for that opportunity. Or, maybe, without Hamster we wouldn't have gotten them at all. I only wish that Nintendo had given their own back catalogue similar treatment. I prefer to at least own my games, so I am not at all a fan of the NSO model. @diwdiws I grew up on both, myself. They are both awesome and I like both. I was fascinated back then with how incredibly different the computer experience was from the NES not realizing the specialized graphics chips were part of what made that 60 fps gaming possible. Ultima IV and V were so, so good on the Apple ][. Wizardy I never finished, I was a little young so my Dad went first, painstakingly filled in graph paper pads piling up next the computer. Bard's Tale was amazing but just brutal and not worth the journey for me. The weirdest moments were when RPGs started showing up on consoles. Master System's Miracle Warriors was so dumbed down compared to computer games, yet somehow enjoyable and interesting. Then, Phantasy Star convinced me that there was something worthwhile to the different approach. 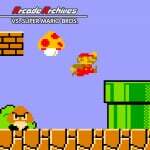 Meanwhile, the 2D side scrolling games on computers really fell behind during the first years of the NES, in my opinion. Before and during all that early home gaming, though, the arcades were such a great experimental play zone, with many of them distinctly different in hardware, not just software — which is often lost with all the emulation. I'd love to know which cases exist where they can't even get hold of the original boards. I`m one of those who won`t buy these games because I plan to have Nintendo Online for as long as it exists. Edit: I did buy Metal Slug 4, and don`t regret it. I just hope Hamster is already negotiating with Nickelodeon and Konami to bring the TMNT arcade games back from the dead. Not interested in the arcade releases so far. But really like the AcA neo geo stuff. I've only ever played Quest of the Avatar. It was...very unusual, interesting and confusing. @SKTTR Idk? Maybe it's the many hands make less work deal? I wonder what games he was referring too that apparently won’t get republished?? @NinChocolate I am so thankful, cause I have waited forever for arcade perfect Donkey Kong, and soon DK Jr. Thanks to Hamster, no arcade game seems to be off limits and I look forward to seeing what else they dig up. If I get a NS, I'll definitely be supporting these guys. Arcade DK, and Vs.SMB! Nice! @Capt_N Do it! Just...do it! Hmm, I'd appreciate a list of those arcade games that no longer have the original code or circuit boards available. Then I'll know which games to never get my hopes up about a possible re-release. I'm kinda nd of curious.... What games have they had difficulty republishing? I'm sure there are a few collectors out there that would be willing to share their circuit board to keep a game alive. @NinChocolate Me neither, not for the lack of cooperation from Nintendo, but for the legal problems with the code owner, Ikegami Tsushinki. @Moroboshi876 Hmm, interesting. Where does this backstory come from? @NinChocolate You can read this interesting article from here our beloved Nintendo Life itself. @EarthboundBenjy if you're a switch online subscriber you can download it and other nes games and play them online with a friend. I just wish they would do a better job on their icon designs. They should have included the original artwork instead of screenshots of the games. It's just lazy! Hamster is to the Switch what the VC was to the Wii, imo. @diwdiws Nah, even in the NES days I focused on "story" (or what passed for story back then) games. LoZ, Castlevania, Mario, Sonic, etc. Even at the arcades, I tended to follow Beat 'Em Ups and Shmups mostly to see how far I could advance rather than for high scores. I never paid attention to scores. Still, it's not that I don't really like "gamey games" still, so much as as long as there's a massive supply of deep exploration games, the "gamey games" always take a back shelf. I've never chased a score, and I never will, not in the 80's arcade, and not today. I picked up Metal Slug when it was on sale. I was a bit disappointed that it didn’t come “out of the box” with scanlines that worked on both TV and portable or the option to have different screen modes for each case. I was able to find a setting that worked but I was under the impression it would be like the NES/SNES Classic where they had a “scanline mode” that I could activate and get to playing without spending the first hour tweaking the settings while “playing” through the first level over and over. I prefer the arcades more than the nes ports because of the extra memory and graphics. They had to squeeze it to an eight bit port, and you couldn't have the whole game.